There are so many variations of this recipe, sometimes called Tuscan cannellini bean salad (the beans are also referred to as cannelloni beans as well), or white bean salad, and the ingredients are often varied and quite good. This is my version, which, of course, makes it the best. 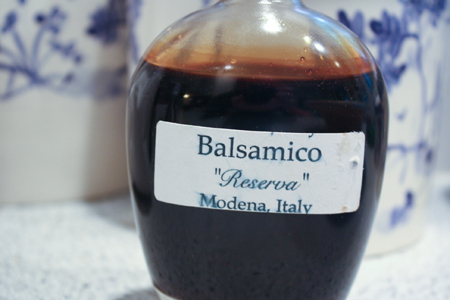 You may see a small bowl of this on the table at good Italian restaurants, and while the most common variation uses parsley instead of basil, I much prefer my version. You will too. 1. Rinse the beans under water as, while the liquid they are packed in is quite nutritious, it won’t work well if included in this recipe. Set the beans aside. If you prefer, you can use dried beans that you soak, cook, and prepare yourself, but unless you are comfortable doing so and know how to ensure their tenderness, I recommend canned beans. 2. 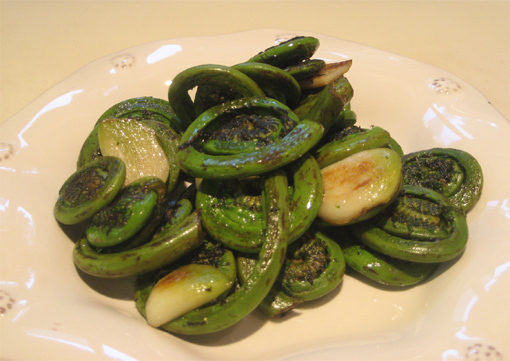 Add the lemon juice, olive oil, garlic and pesto (or basil leaves) to a bowl and stir together. The mix does not have to be a perfect emulsion, just a gentle stir will do. 3. Add the beans and stir it up a bit. I like to crush a few of the beans to thicken the dressing mixture allowing it to adhere better to the beans and giving it some texture. Then add salt and pepper to taste. Eat the whole bowl because you can’t stop after testing the flavor. Go back to step 1 and start over and try not to eat the whole bowl this time. 4. 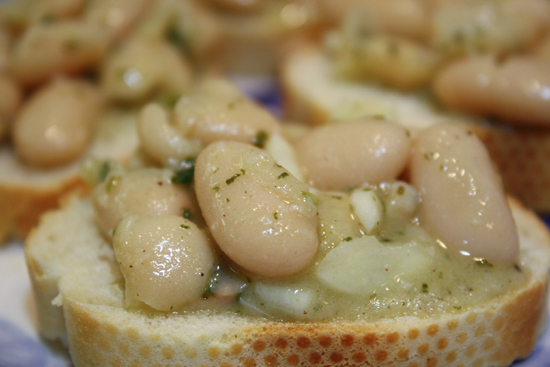 Place a spoonful of the bean salad onto each piece of bread and serve. I always have pesto around so it is easy for me to use it in this dish, but basil leaves work perfectly well and so does parsley. I may experiment with the decidedly non-Italian cilantro to see how that goes. As I always say, experiment yourself, add other items that interest you, and you may chance upon something that blows you away. As you can see from the picture, I also added a lot more garlic than I indicate in this recipe, and woke up this morning still tasting the garlic, which I rather enjoy. 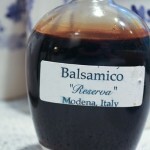 Cooking is as much an art as it is a science, so tweak any of the ingredients or techniques to suit your own taste. I also put the salad in the refrigerator for a bit which causes the olive oil to thicken somewhat. 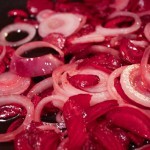 This helps the salad stay together a bit better and allows some tome for all the flavors to blend. I can easily make an entire dinner from a hunk of bread and a bowl of these beans, which is not just frugal, but also delicious and nutritious. Per a request, this is my basic salsa recipe (enjoy this one, Tom). 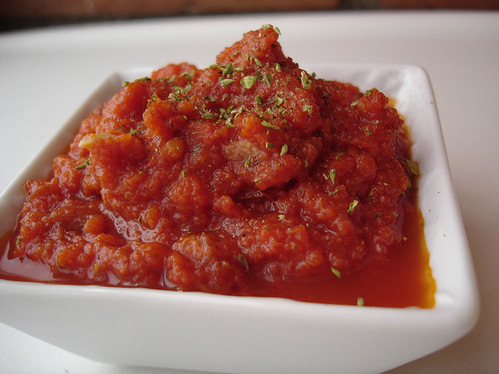 The great thing about salsa is that you can tweak it left and right to make the kind of salsa that suits your taste. Do you like cilantro, add an entire bunch (I do, it’s one of my favorite flavors). Hot or mild, play with the jalapeno to taste. Add a few chipotle peppers if you like it smokey. There are endless ways you can modify this recipe to make something incredible. I’m a huge fan of green salsa made with tomatillos, and I’ve even made salsa with spirits and odd spices. My point is that this is a great basic recipe and I challenge you to make it your own. Your taste buds will thank me. The easiest way to make this is to place all the ingredients in a food processor and pulse slowly until all ingredients are chopped but not pureed. I like a thick salsa, so I often add the garlic, lime juice and salt first, pulse (to get the garlic chopped well) then add the remaining ingredients and roughly process. If you don’t have a food processor, or prefer to not use one, just chop up all the ingredients and mix together in a bowl. It is that easy. 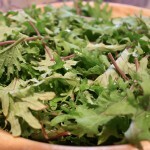 Sprinkle with a little dried cilantro, or even thyme or Mexican oregano for garnish. I love earthy greens, and kale has a hearty chew that makes me feel as though I’m really eating something substantial. The kale was subject to a rigorous yet thick chiffonading (if that’s a word, if not, it is now) as that is not only my favorite cut, but it shows off the nook ‘n cranny-y (another new word) nature of this great leafy vegetable. 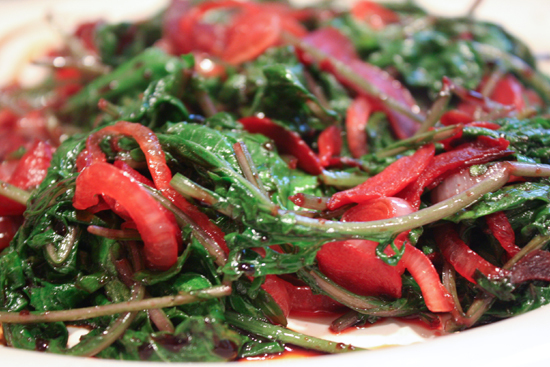 Kale looks particularly nice as a chiffonade. 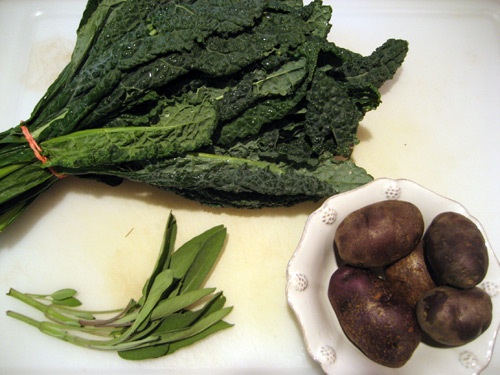 This is a really textureful (I did it again) dish, and sage and potatoes go together like tall glasses and water, so this simple combination of vegetables makes a great meal or side dish. 1. 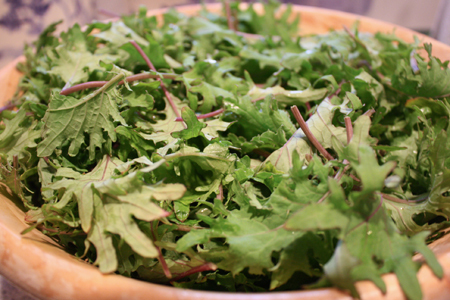 Wash, dry, and cut the kale into any size pieces that you prefer. 2. 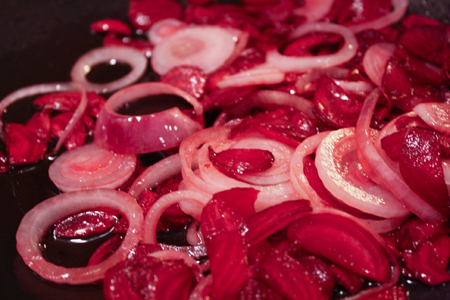 Heat a pan, add the oil and garlic and when the oil is hot, add the potatoes. 3. Add the potato and cook until soft, 10-2 minutes. 4. Add the kale and saute until soft. 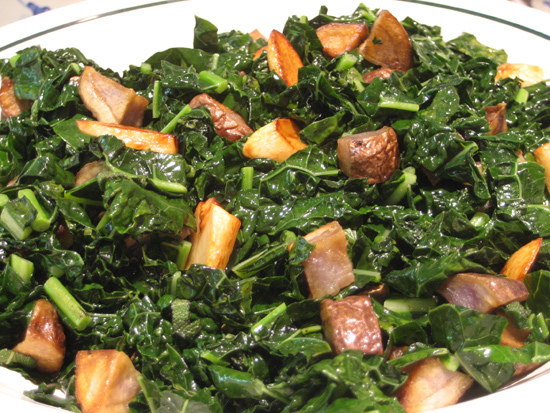 The kale will become softer the longer it is cooked. I prefer a little chewiness so I cook it about 8-10 minutes, but if you prefer a softer result, cook as long as you want. 5. Add the sage and mix into the kale and potato thoroughly and cook about 1 minute.